We were down in Dorset again visiting family and with a spare few hours on our hands decided to walk up to Hardy's Monument. The walk starts in the delightful village of Abbotsbury. The path to the Monument follows the South Dorset Ridgeway which runs from nearby West Bexington to Osmington Mills the other side of Weymouth. 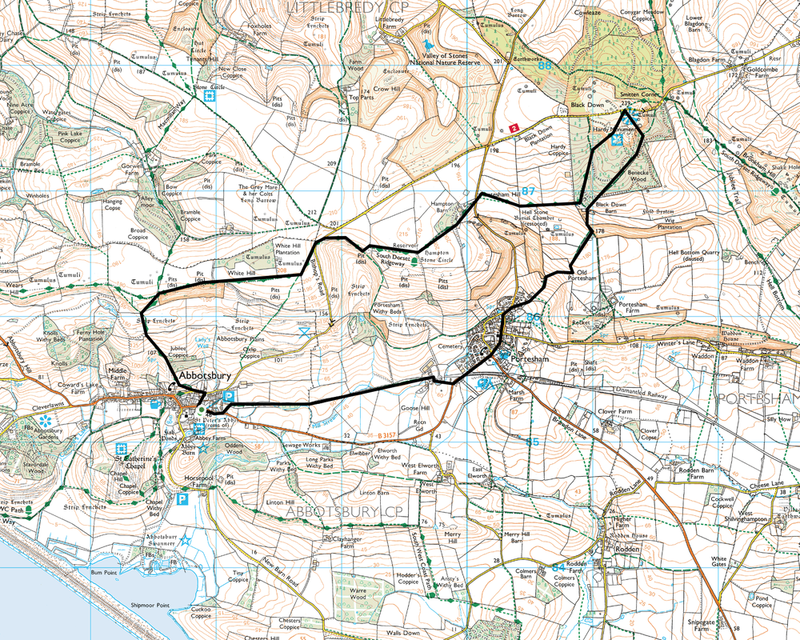 Once at the Monument, the return leg makes its way down to another lovely Dorset village, Portesham where there is a super pub which we have eaten at since the walk - The King's Arms http://www.kingsarmsportesham.co.uk. The walk passes through the village and out the other side where you join the route of an old railway line back to Abbotsbury. We ate at the Ilchester Arms in Abbotsbury that evening and for other days there are various tea shops plus the lovely pub in Portesham. The plaque on Hardy's Monument - as you can see the Monument was to honour Nelson's Flag Captain at the Battle of Trafalgar and not as is widely believed, the author of the same name. This topic generates much discussion and various members of the local WI have almost come to blows arguing about this very point.